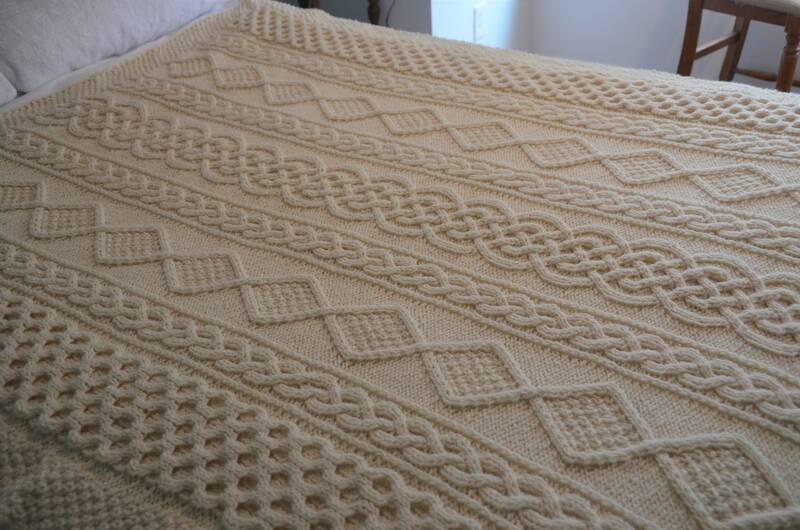 A simply stunning XL Aran-style throw blanket! The design features a center panel of a six-strand braid, along with diamond and honeycomb panels. 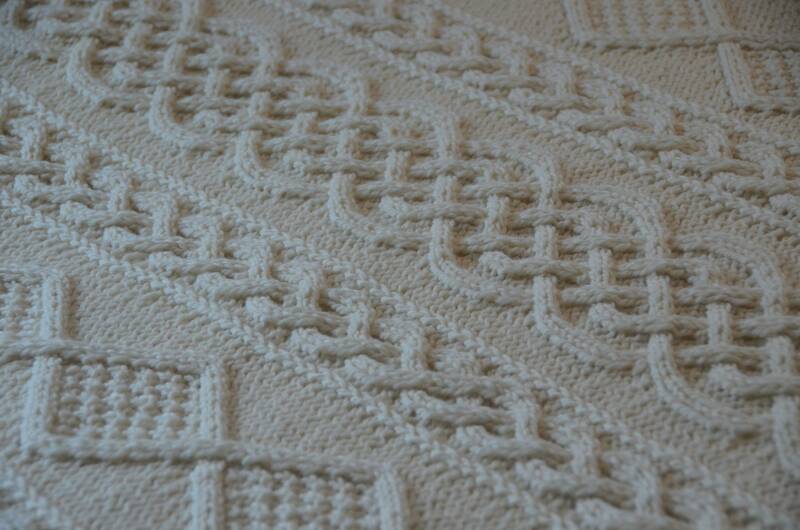 The panels are separated by chain flanked braids. Approximately 55" wide and 74" long. 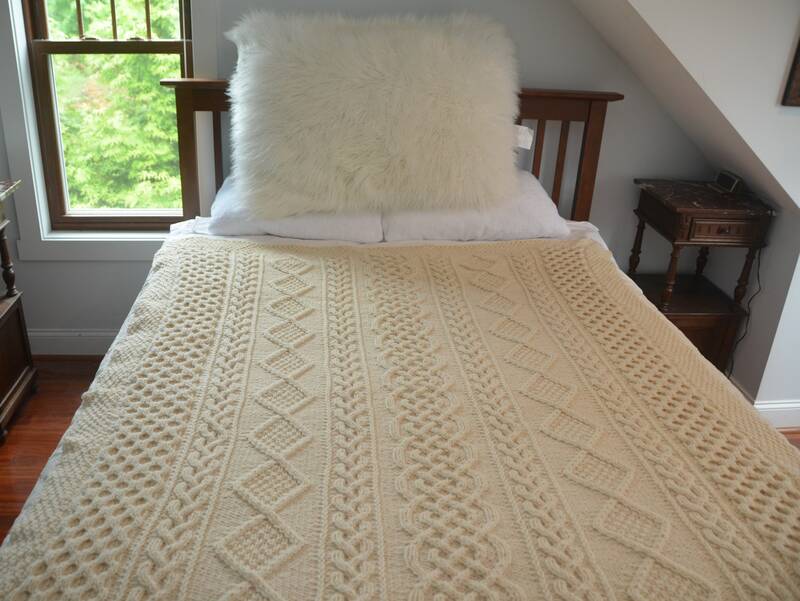 Made from 100% ecological wool which is undyed and minimally processed.